On October 21, 40 of L.A.’s best restaurants—and one famously photogenic giraffe—will gather at Saddlerock Ranch in Malibu for our 13th annual Food Event. Celebrity chefs including the Crack Shack’s Richard Blais and David Kuo of Little Fatty will be on hand doing demos, and a slew of wine and spirits brands will keep the bevs flowing. But we’re talking about the Food Event, so chances are you want to know more about all the tasty eats that’ll be served up. Here’s a peek at the (subject-to-change) menus chefs shared with us in advance. Do not read this if you’re hungry. And get tickets here. 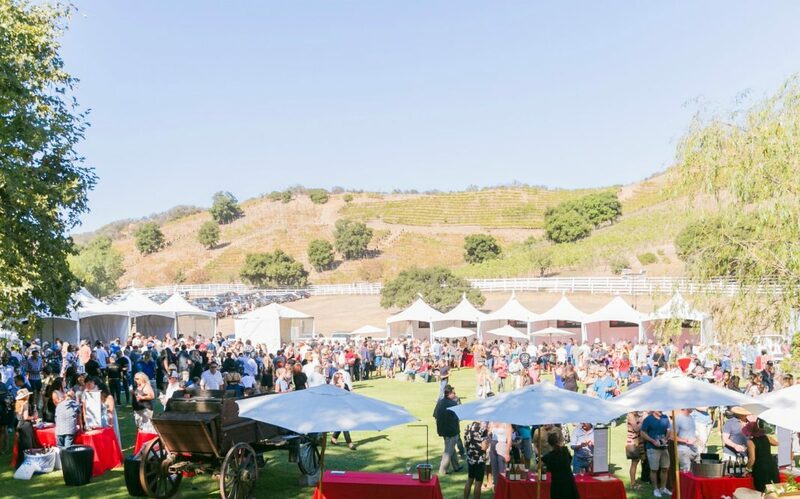 The Food Event 2018, Saddlerock Ranch at Malibu Family Wines, 31727 Mulholland Hwy., Malibu; Sun., Oct. 21, 2-5 p.m. Previous articleThe 6 Best Things to Do This Week in L.A. The Food Event 2014: The Scene, the Sips, the City’s Best Chefs!